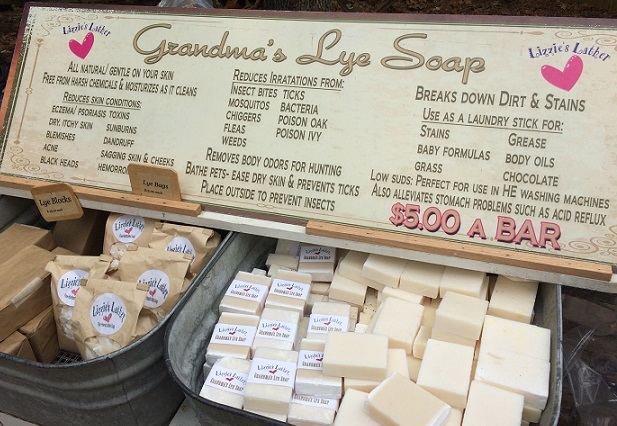 I grew up in Branson, MO, so long days of water rides at Silver Dollar City were a fixture of my childhood summers. This was long before cell phones were a thing (except those giant Zach Morris phones that were bigger than your head), so it was a huge deal when my best friend and I were finally old enough to go off by ourselves for several hours at a time and then meet up with mom when it was time to go. The ultimate tween version of freedom! 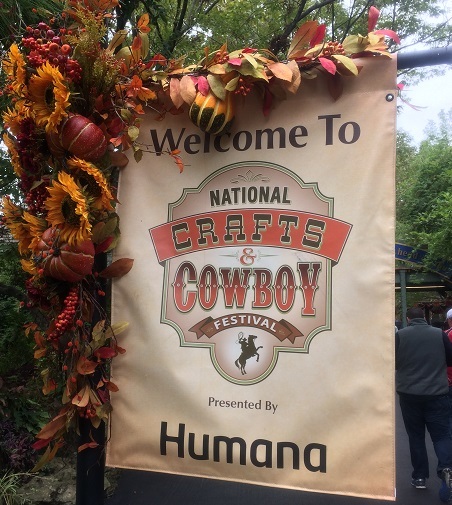 It’s been several years since I’ve been to the 1800s themed park, so I was thrilled to be invited to visit and check out the National Crafts & Cowboy Festival, just one of many festivals and events offered at the park each year. 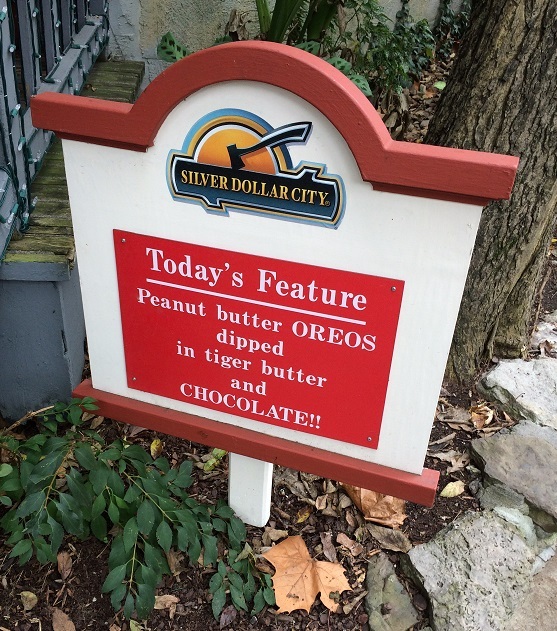 Thanks to US Family Guide and Silver Dollar City for providing complimentary admission in exchange for sharing my experience with you guys! Note the lovely temperatures the rest of the week. Boo-urns. 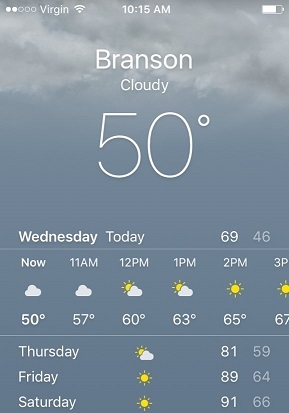 Sadly that 67 degrees at 3 pm turned out to be an overly optimistic forecast. It never got above about 56. Felt more like the Christmas festival than fall! 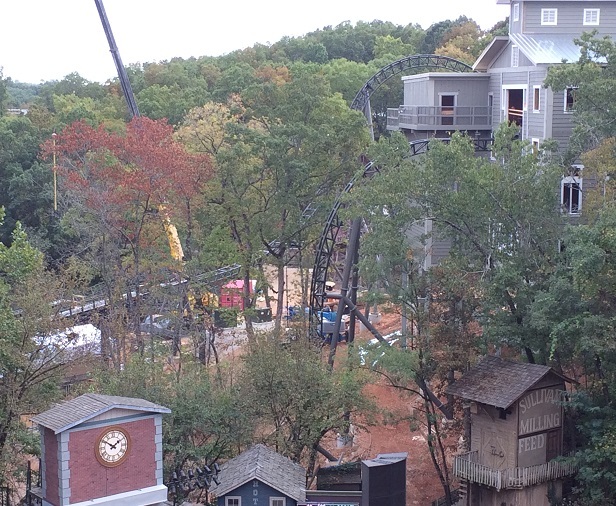 One Big Tip for Visiting Silver Dollar City: Arrive Early. To get the most out of your visit, plan on arriving before the park opens. Out of curiosity, I decided to time how long it took me to get from the big SDC entrance sign on Highway 76 to the actual entrance gates. Parking, waiting for the tram, and then walking from the tram drop-off to the gates took a total of 28 minutes. (It only took 5 minutes from leaving the highway until I was parked, so the majority of the time was spent waiting for the tram.) I decided to walk back to my car at the end of the day instead of doing the tram again, and that only took 8 minutes. Note: I visited on a cold Wednesday in mid-October, so it wasn’t a busy time at all. If you are visiting in the summer, arriving early is something I’d DEFINITELY recommend. 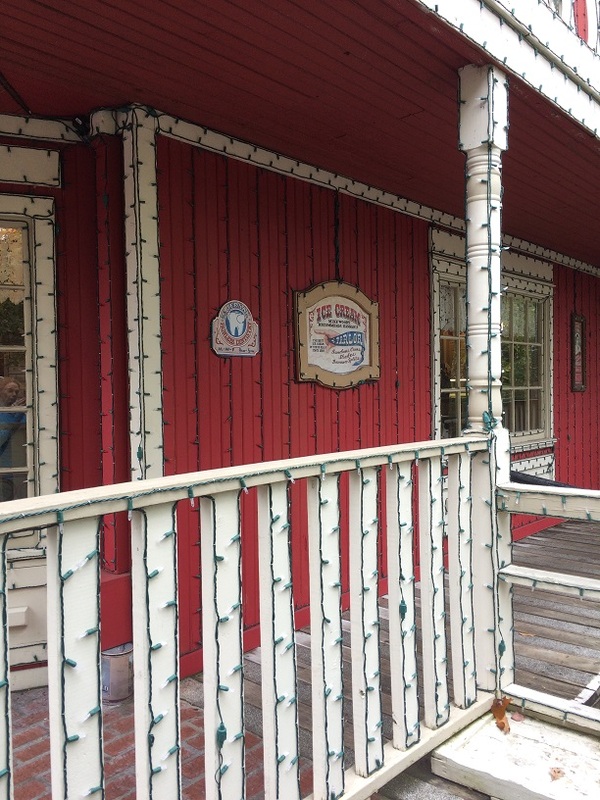 I pass the entrance to Silver Dollar City on the way from my house to Branson and when the summer season is in full swing, I’ve seen the line of traffic waiting to get to the park stretch for literal miles. 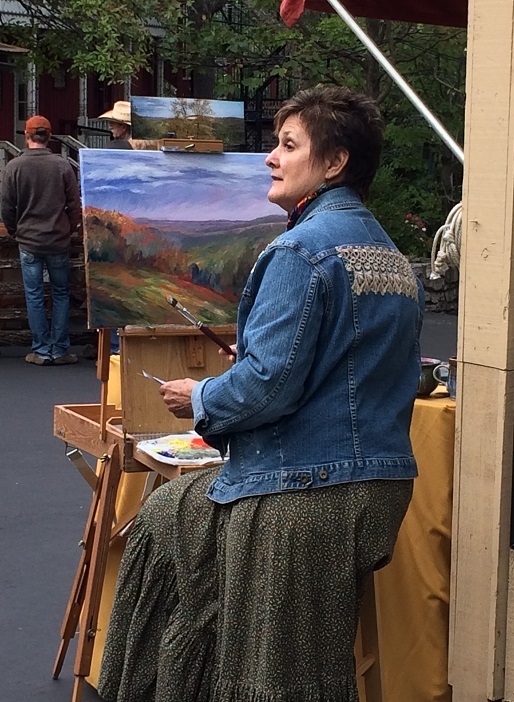 Another tip: Check out the calendar on Silver Dollar City’s website to find show times for the park’s live entertainment for the day you’re visiting and either jot down the times for shows you want to see or make a note in your phone that you can refer to later. I missed the first show I’d been planning to attend since the parking/tram situation took longer than I expected, but since I had all of the times noted I was able to quickly rearrange my plans for the day and still fit everything in. 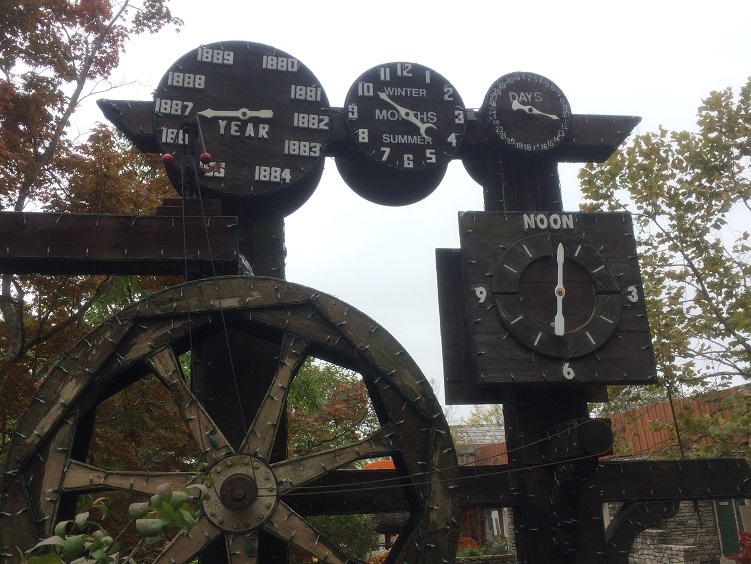 Cool water wheel clock near the park entrance. 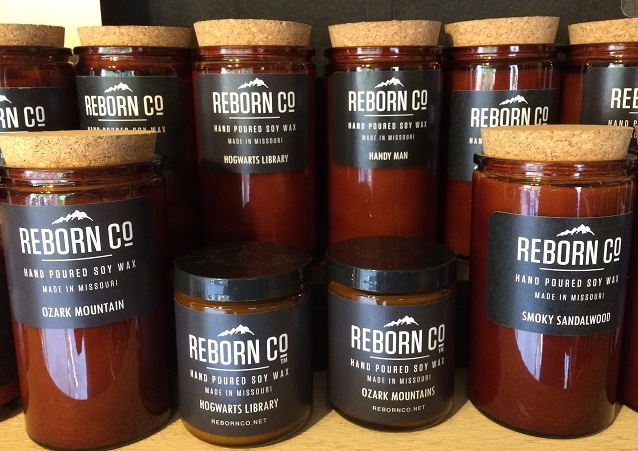 Loved discovering this candle company based out of Springfield, MO. I need to pick up one of their amazing-smelling hazelnut coffee candles next time I’m up there! 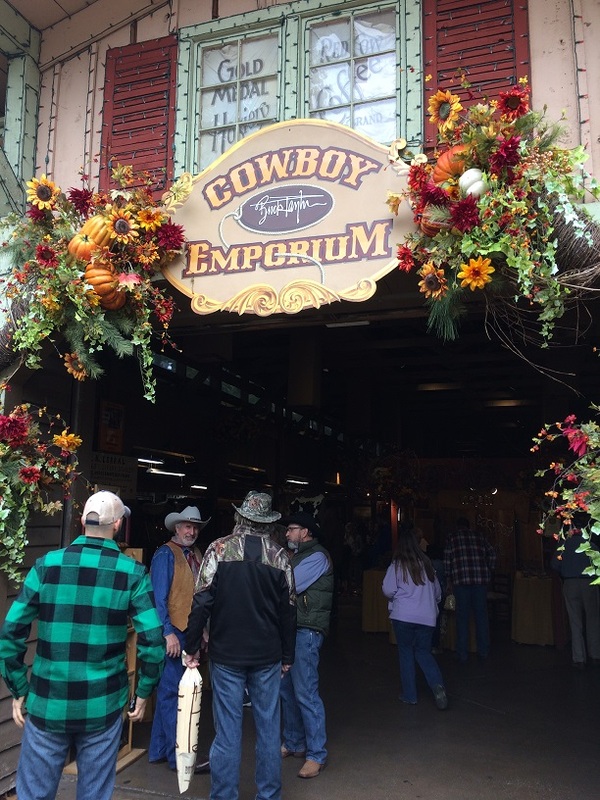 During the National Crafts & Cowboy Festival, there’s also an entire Cowboy Emporium filled with western artwork, books, and crafts, with each booth operated by the artist or author. 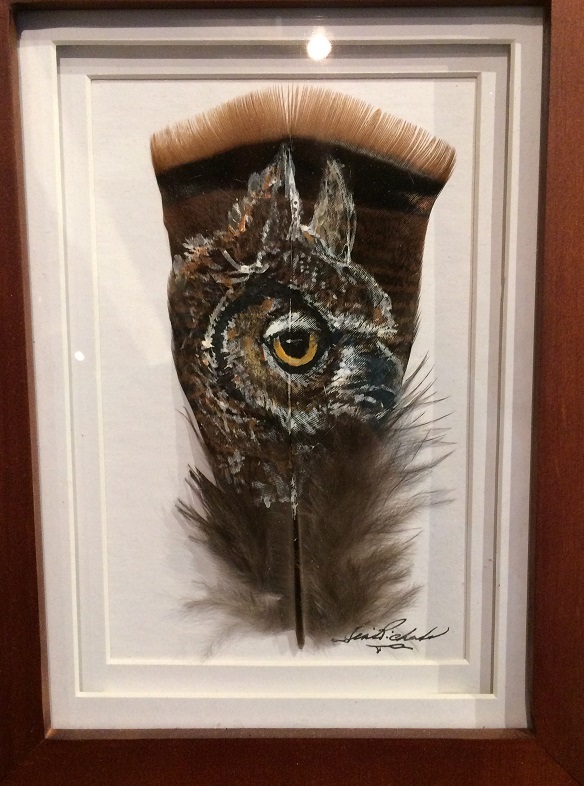 My favorite was the booth filled with these amazing animal paintings on feathers! 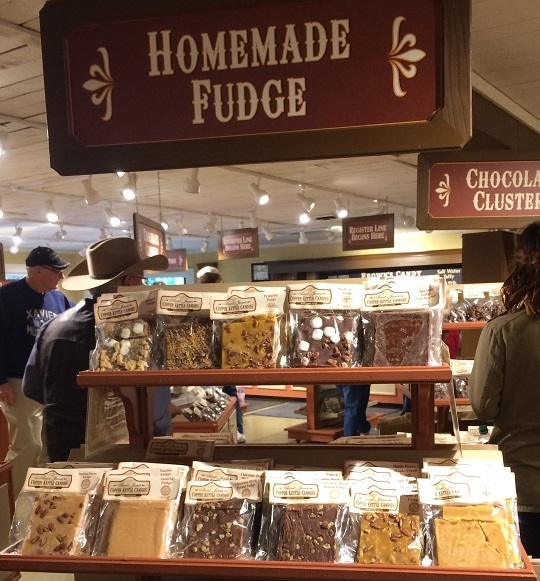 I love visiting the candy store because, well, candy. 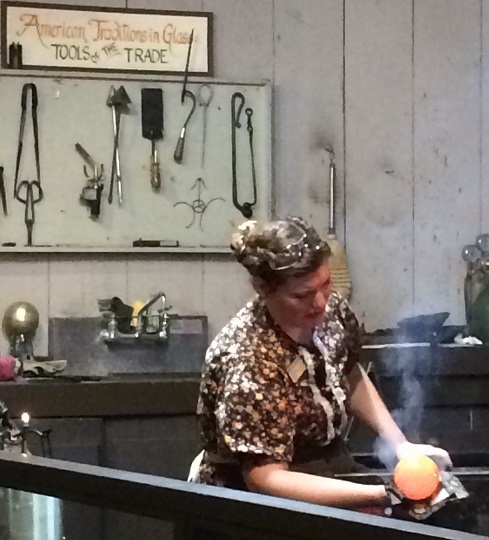 There’s often someone making candy in the little theater-style kitchen, but there wasn’t a demonstration happening when I stopped by. That day’s special looked pretty great, though! 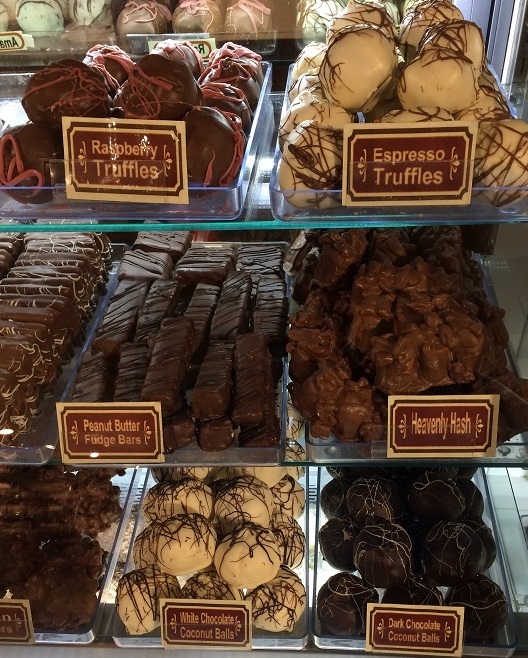 I couldn’t resist getting one of the espresso truffles! Everything in the case is sold by the pound, so it came out to around $3. I could easily spend about a billion dollars in this shop, but I love that I was able to get something that felt super indulgent for just a few dollars. 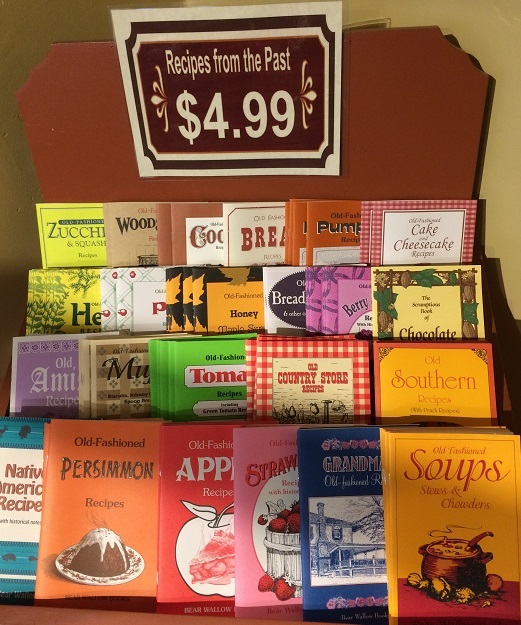 Also in the “very cool yet affordable” category – this selection of cookbooks that you can find in the candy store. We’re all so used to Pinterest these days that actual old-school cookbooks are kind of a novelty, and these are especially neat because they feature themes like Amish recipes and Native American recipes. Would make an awesome gift! 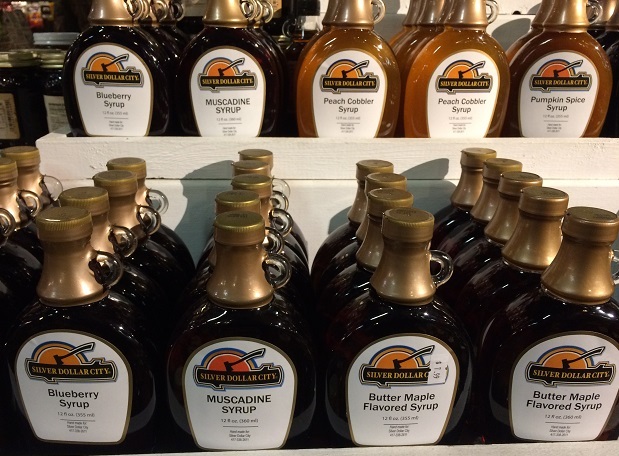 There’s also a super-tempting selection of delicious products in the shops you pass through on your way out of the park. 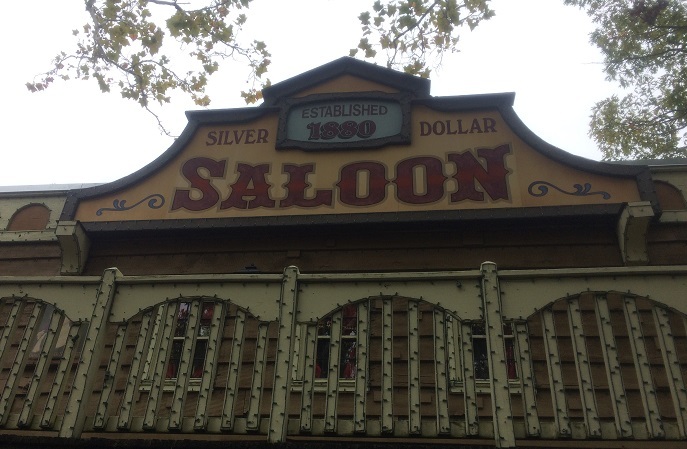 The Saloon Show takes place year-round, but I’d somehow never seen it! This became my first attraction of the day after I had to change my schedule around and I’m glad I finally made time to see it. It’s really cute! For the most part, it’s exactly what you’d expect of a wild west saloon show in a family-friendly park, but about halfway through the first few notes of a song played and I had that weird feeling when you see or hear something that you know you like, but it’s in a place that is totally unexpected. They did a song from Hamilton. The audience was mostly older, so I feel like there’s a 90% chance that I was the only one there who knew what it was, but it made me absolutely giddy. (I have a kitten named Lin-Meow Purranda and one named Hercules Mulligan. OF COURSE I am going to freak out over unexpected Hamilton!) I’m not sure if the show changes for the Christmas season or not, but I’d be curious to find out! 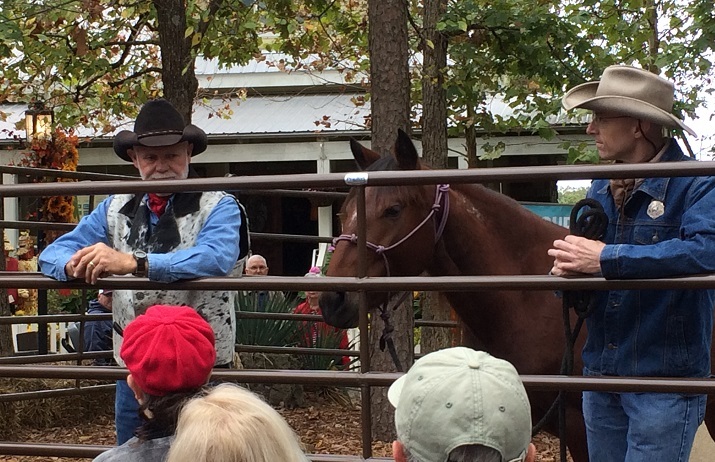 He spent most of the time answering audience questions (A little boy asked how you can tell if a horse is a boy or girl. The obvious answer to that one was, “You ask your father.”) and demonstrated some of what the filly hes been working with has learned. It was the perfect combination of showing how training is done without putting too much pressure on the young, inexperienced horse to “perform”. I’ve spent an entire training session on just getting a horse not to spook when I hop up and down next to him as if I’m about to get on, so when I see training demonstrations I always worry it will be one of those “I can be riding this wild horse in under an hour!” guys. Fred is clearly approaching training in the slow, patient way, and I’m glad that’s what guests with no horse experience are getting to see. 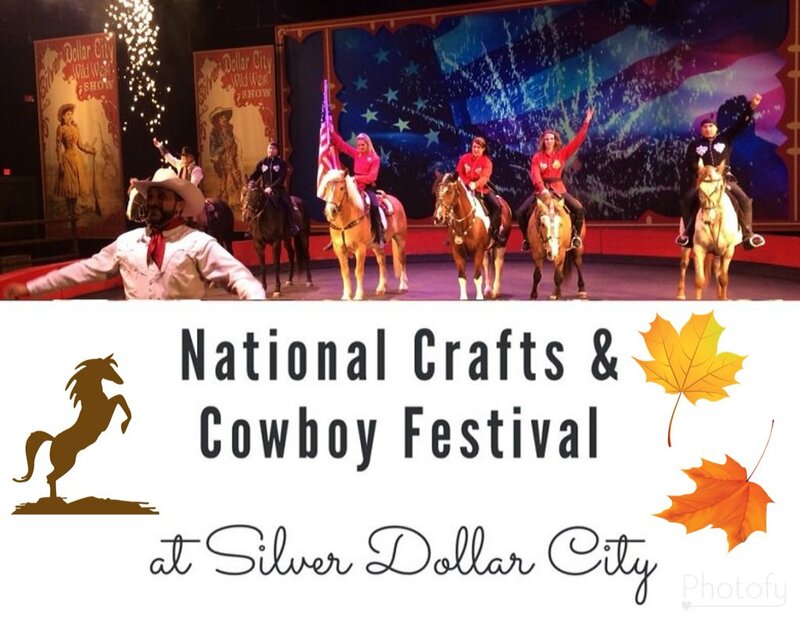 One of the highlights of the National Crafts & Cowboy Festival is the Wild West Show, which features acts inspired by Buffalo Bill’s famous 19th century traveling show like sharp shooting, rope tricks, trick riding, and Native American hoop dancing. This is easily the “do not miss” show of the festival. Doors open about 15 minutes before each showtime (there were 3 on the day I attended) so be sure to arrive a bit early to get good seats! 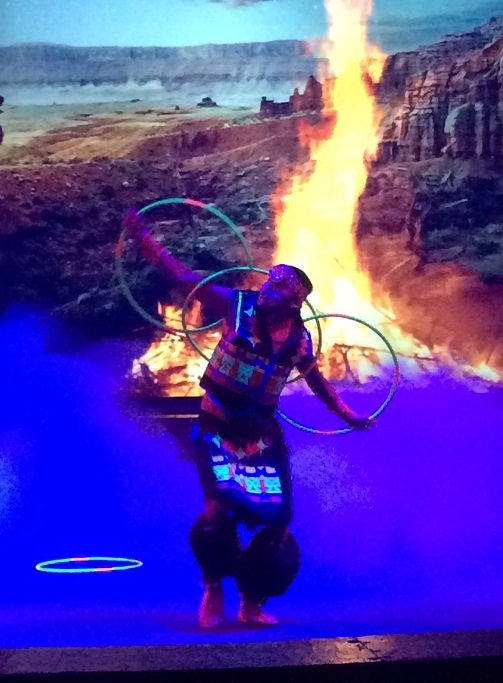 I grew up going to Pow-Wows with my dad, so dance as a form of storytelling always makes me happy. 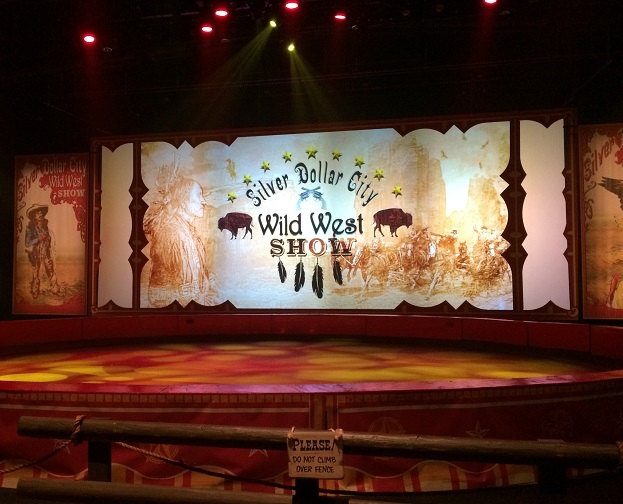 When you think of the original Buffalo Bill Wild West show, you probably imagine all cowboys and Native Americans, but I did a bit of research and was surprised to learn that the 1880s show actually featured performers from around the world! At a time when almost nobody traveled overseas, seeing people from the Middle East and Mongolia dressed in their finest clothes, perched atop horses that looked totally different than the breeds that Americans were familiar with must have been an unforgettable experience. Another surprise? Buffalo Bill is quoted as saying, “What we want to do is give women even more liberty than they have. Let them do any kind of work they see fit, and if they do it as well as men, give them the same pay.” Congrats on being more progressive than some men in 2017, Mr. Cody! 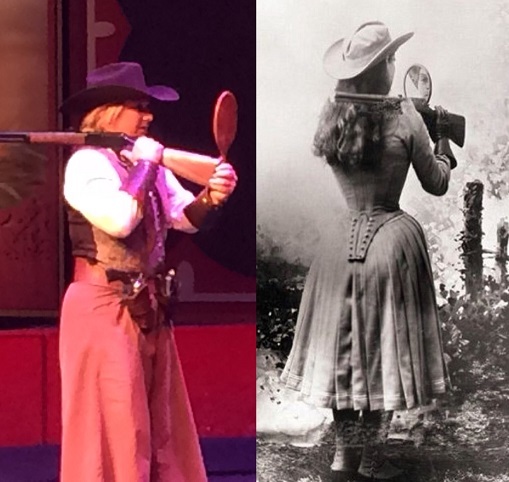 Annie Oakley was the best-known woman in the show, and one of her signature sharpshooting tricks was recreated in Silver Dollar City’s show. I’m lucky to get my eyeliner on straight looking in a mirror, let alone hit a target! I’m sad that I didn’t get any good trick riding photos, since its something I’ve always loved (and always lacked the core strength to be good at! ), but I did get videos of AJ Silver’s impressive skills with a rope and a whip. He makes them both look so easy, but anyone who has tried either will know it’s SO NOT EASY! Absurdly talented guy. I was also able to sneak a peek a the construction for the new Time Turner rollercoaster opening in 2018. Yup, that’s a 90 degree drop right out of the station! 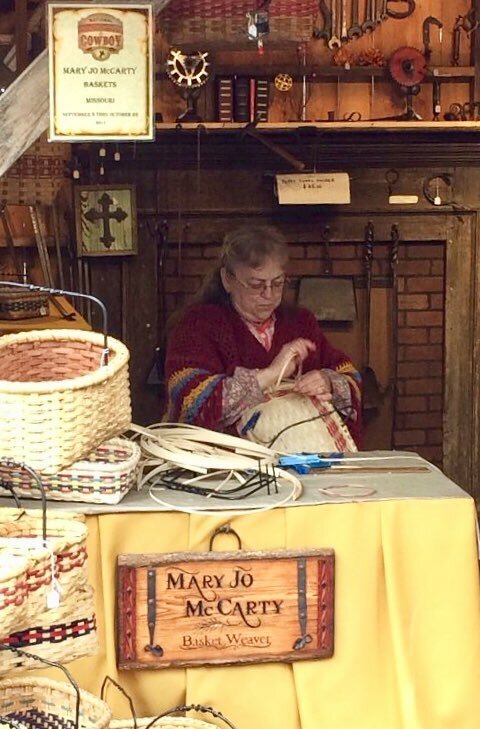 You can find more info on all of the annual festivals on Silver Dollar City’s website, and follow their Facebook and Instagram for news and fun photos of what’s happening around the park. 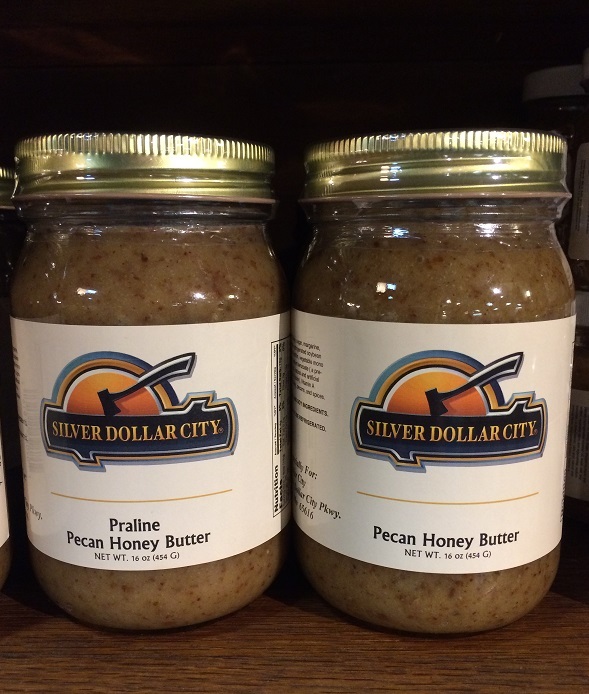 Have you ever visited Silver Dollar City? Feel free to leave any questions in the comments and I’ll do my best to answer!